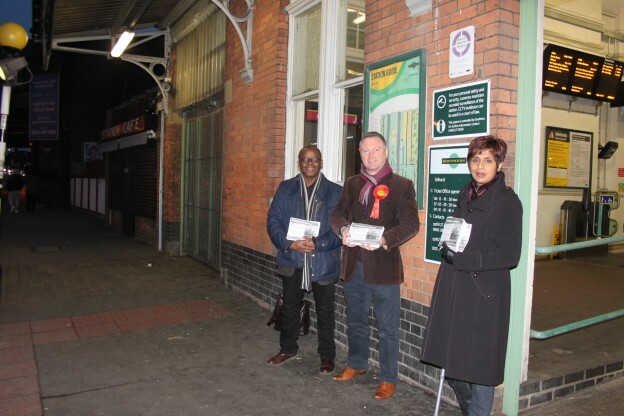 Steve Reed MP and Labour’s GLA candidate, Marina Ahmad have declared victory in their campaign to save local train-station ticket offices. Plans to close ticket offices in Selhurst, Norbury and Thornton Heath have been ditched after massive public opposition and doubts expressed by TravelWatch, the capital’s transport watchdog. Steve and Marina spoke to hundreds of commuters outside the stations at risk and urged them to make their views known in the consultation. Over 300 concerned residents signed a letter with Steve Reed MP opposing the closures.